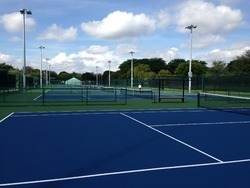 Our range of products include hockey ground flooring, outdoor courts synthetic surface and jogging tracks flooring. 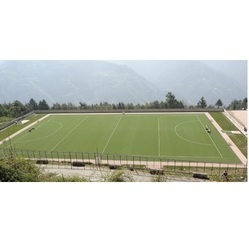 We have been successful in catering to the requirements of our esteemed clients by offering quality floorings for Hockey Ground. We offer these floorings to the hockey authorities, which are engineered specifically for the high impact sport of in-line skating. These floorings have consistent surface texture and excellent puck with proper skate speeds. We are offering a wide range of Synthetic Surface Outdoor Flooring. Before being delivered to our clients, these products are tested as per the international standards of quality. This is seamless solution & extremely wear resistant. 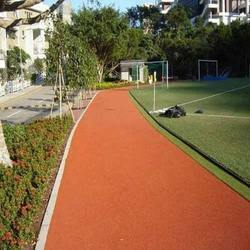 Backed by a team of our professionals, we are manufacturing an extensive array of Jogging Tracks Flooring. Designed with utmost precision, this flooring is designed from a quality proven basic material with the aid of the latest technology.